This activity gets students out of their seats and into the human body. Students walk the path of the human digestive system and learn as they go. 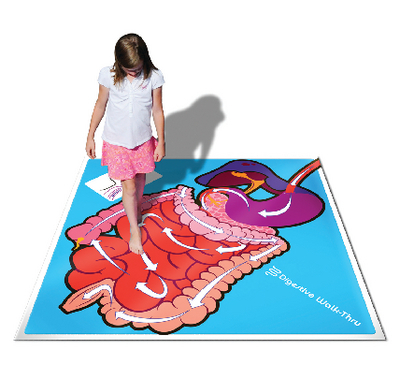 This 70 x 70" mat provides an illustration of the organs involved in digestion, making it perfect for a whole class review or even quizzes. Ordering information: This activity includes a teacher’s guide with additional information, activities, and assessment sheets.